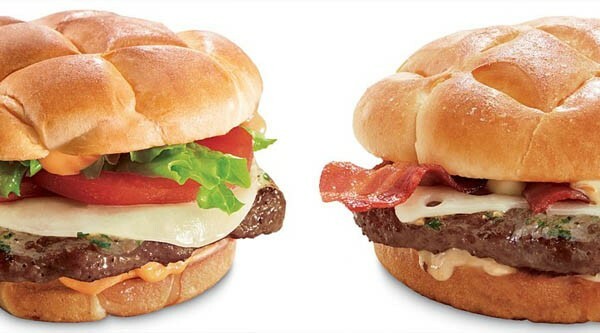 Jack In The Box recently launched a new set of burgers called the Buttery Jack with two different variations, the Classic Buttery Jack, and the Bacon and Swiss Buttery Jack. The main selling point of this burger is the garlic butter that is spread and melted over the beef patty. It sounds delicious, and I’m not sure why this isn’t happening with every burger. With the Classic Buttery Jack, you get provolone cheese, a tomato sauce, lettuce, and tomato on a quarter pound beef patty. 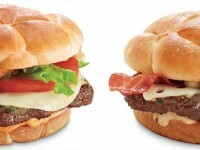 The Bacon and Swiss Buttery Jack has strips of bacon on swiss cheese, and mayo on a quarter pound beef patty. 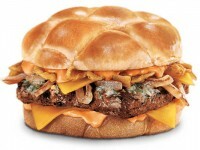 Both burgers come on a new bun specific to this burger. 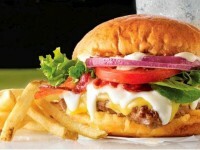 The price on these burgers is about $5, although you can go here and get a coupon for $1 off either Buttery Jack burger.